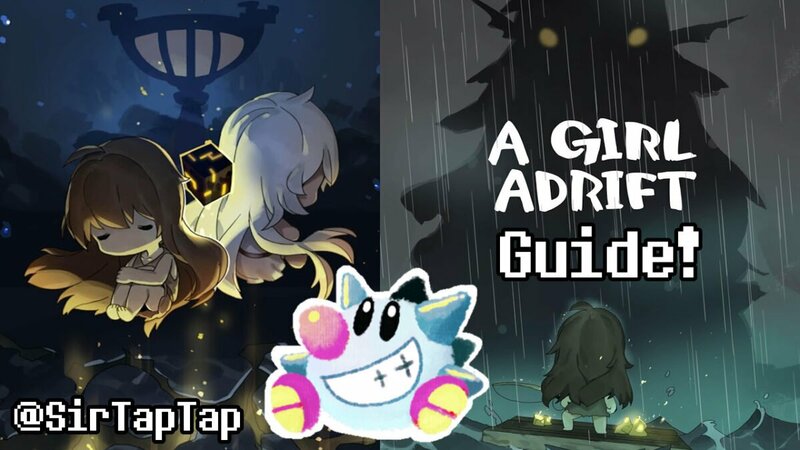 A Girl Adrift is a new mobile Idle/Clicker game much like AbyssRium. I’ve been playing it a lot lately and I’ve started a guide here. Sections with Spoilers will be noted with a bold warning just under the section’s heading. Please note that you can help support my writing and guides on Patreon! As always feel free to ask questions or provide information in the Comments below and I’ll get to you as soon as I’m able. Price: Free to Play with ads & In App Purchase. IAPs disable ads. 2018-01-23: Added final fish. Minor corrections. 2017-12-08: Flying Across The Night Sky event! 2017-11-08: Discovered there’s a cap on Potion effectiveness thanks to this helpful reddit post by /u/ Router26! Added info to relevant sections. 2017-11-07: Added an IAP purchasing guide to the Addendum, added info on tapping the Legendary Fish icon to upgrade it before reaching the location to fight the second Legendary. 2017-11-04: Added much more low-rank info to Ranks and Fish. Added all Mastery skill level costs. 2017-11-01: One of the most important additions: the Grinding section! Info on all the best ways to grind. Added Und’avalena to the Legendary Fish section. 2017-10-26: Info on the limited Halloween Event added! 2017-10-19: Fish list finished! Thanks a lot to /u/Tymex123s and /u/Router26 for helping me complete it! 2017-10-17: Rank rewards info, Currency list and info. 2017-10-16: Initial Version, very WIP. A Girl Adrift is very much one of those “easy to play, difficult to master” games, though not in the way that phrase is usually advertised. For the most part you’re just going around in the game and tapping a lot to catch fish. There’s an almost overwhelming number of gameplay modifiers on top of that, but none of them matter too much. Generally gameplay elements only add percentage boosts on top of the basic “find fish, tap, do quest, repeat” loop, so don’t worry about not using them perfectly optimally. You want to make use of all the different features as best you can, but making okay use of them isn’t generally much different from using them perfectly, so don’t sweat it too much. Of note is that unlike most idle games, A Girl Adrift does not do much of anything in the background at all. Timers all run while the game is open, and as such there are no inordinately long, wait for 24 hour timers for common actions. There are of course the usual mobile “daily login rewards” that run off realtime, but for the most part this is a game you play as fast as you try to play it, rather than as fast as it lets you. The game might seem overwhelming, but remember that almost every possible upgrade is additive. No matter how you upgrade you’ll improve your general progression speed, so feel free to spend as you like without worrying too much about what is best. Of course, this guide will also help you determine what is best, or at least what everything does. The translation is a little bad; mostly understandable, just off enough to be confusing. When in doubt, this guide will explain some of the more confusing elements more thoroughly. For example, “relief items” (what?) are the little air-dropped supplies you see floating by on parachutes. Fishing is the primary action in A Girl Adrift; once a fish is hooked you tap and tap and your goal is to deplete the Fish’s HP meter before the time-up bar reaches the left. You can tell if you’re going to win or not based on which meter is depleting faster in most cases. Fish difficulty is indicated by the color of the fish’s HP bar (unfortunately, I do not believe there is a colorblind-friendly indicator, but you can tell pretty easily when a fish is too hard for you because it’s HP will deplete slower than the timer.) Purple fish are extremely difficult at your current progress, and if a Fish’s health bar is red it’s practically impossible, so go somewhere and level up fish. Boss fish are particularly difficult fish you must defeat to raise your Rank. Unlocked at Rank 10 and upgraded in the Mastery tab, Combos improve experience and Fishcakes by 5% per consecutive fish, and expire if a fish isn’t caught successfully in a certain period of time. One of the more overwhelming aspects of A Girl Adrift is the sheer abundance of “currencies”, for lack of a better term. Each has a specific use and there’s usually not many “wrong” ways to use any one of them, but it’s good to understand each. They are individually very simple, only overwhelming when you see them all at once (which is why many are unlocked gradually). Experience is gained by fishing and raises your Level at the bottom of the screen. You don’t see experience values directly, but you can see how much a given fish adds to your level meter at the bottom of the screen. Tougher fish yield more experience of course. There’s no “spending” experience, it’s simply automatically accumulated as you play and determines your base Attack power (and thus how quickly you can defeat fish with your weapons). Fishcakes are basically a secondary set of Experience points you invest into one of your weapons. It’s mostly earned from fishing but the Farm also produces Fishcake and random air drops float by as well. It’s generally best to spend your fishcake somewhat evenly. Weapon levels from Fishcake serve as a multiplier on top of your Level, so leveling up is still critical for dealing the most damage to fish. Weapons can go up to the same level as your character, and therefore max at 4181 as well. This is the currency that’s actually used most like a currency; you can buy and upgrade Skins (clothes, boat parts, etc) at various harbors. Pearls are earned by various methods, including periodic achievements, completing quests, and selling the items dropped by Rare Fish. Junk is stored in your inventory as an Item, but is mostly used for upgrading/crafting and is thus a sort of currency. Junk is earned by fishing with the Detector on. I’m not exactly sure how finding Junk works yet, but what Junk you get depends on which area of the sea you’re in. Junk awards Fishcake and Experience equal to the highest level of Fish you’ve caught. Mastery Points are used to buy and upgrade Skills, and are earned by visiting special Locations, completing Quests, and the fastest way to get them is by trading in Potions at the Alchemy location. Potions refill mana, purchase Auto-Sell Tickets, and can be traded in for Mastery points at Alchemy (this is generally the best way to use them), or traded in for Pearls at Alchemy (Auto-Sell tickets are more effective for Pearls however). Potions increase in effectiveness by 0.02% each Potion use up to 100% total effect. Once at this cap Potions will recover 60 Mana, give 22 Mastery or 60 Pearls each. The Free Use of Alchemy gives 3 Potions’ worth of Pearls/Mastery. Not quite a currency like the others, you have a max of 100 Mana and spend it to cast skills. 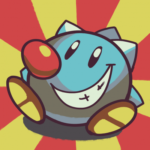 Mana regenerates automatically by 1 unit per 100 seconds by default and can also be refilled with floating Mana balls that float by on parachutes like Fishcakes. An artifact increases Mana recovery rate by 20% per level. Amber Stones are dropped by Legendary Fish (the amount you can get increases as you’re able to do more damage to the Legendary Fish). Amber Stones are used to upgrade Altars. The first level of an Altar is the most important. You can double your Amber Stones each Legendary Fish by watching an ad. Due to the way Amber Stones are awarded (for each time you deplete Legendary Fish’s ever-increasing HP bars), the auto-fish is actually not significantly less effective at farming Amber Stones compared to manually fighting them. The majority of the stones will be earned almost instantly and the longer struggle is really just for a fairly minor amount of extras. These are earned from Fishing (rarely) and are used to upgrade Thunderstorms. Thunder Storms level up to 8 permanently, significantly increasing the Amber Stones you get from fishing there. By upgrading a Rank 8 Thunderstorm you can fight a different Legendary Fish worth even more Amber Stones. Note you can only upgrade an active thunderstorm, so quickly upgrade it before you fight the Legendary Fish, or make sure you upgrade before you leave or you won’t get another chance until another Legendary shows up in that spot. You can see how much Magic Essence you have by tapping the Amber Stone icon at the bottom of the screen. You can also quickly upgrade a Legendary Fish straight from the Legendary Fish icon that appears on right of the screen (the one that takes you to the fish) to upgrade a Level 8 Thunderstorm even before you get there. The one true blue Premium Currency in A Girl Adrift is Diamonds. You can only acquire diamonds by paying for IAPs, getting 20 a day for the daily login, and completing certain one-time-only quest sets. After you’re done with quests you will get no more free diamonds beyond the 20 per day. Event currency is earned simply by fishing. A large amount is required to buy each cosmetic item, and the event currency cap is low. You can only hold 2200 currency despite Skins costing 2000 currency, so make sure to buy a skin as soon as you have enough. If you’re idling A Girl Adrift to collect event currency you’ll want to check regularly to make sure you’re not grinding past the cap. Event currency is lost at the end of the event, so spend it! You can always buy Potions even if you’ve got all the unique items. Rank 40 is apparently Majero Spoilerinos and I haven’t reached it yet myself. Though the game does not run whatsoever while the app is closed unlike many idle games, there are still methods that allow you to truly automate grinding in the game. Exactly how to go about it depends on what you want. The single most important thing for grinding is Auto-Fish. In combination with the Fishing Speed skill, Auto-Fish will actually automatically catch fish faster than if you had fought them manually despite being completely idle. Auto-Skill Use helps a lot as well, as you can loop using Fishing Speed as soon as it becomes available, drastically increasing the amount of fish you’ll catch. While not necessary, higher levels of Auto-Fish can help a lot, adding the ability to Auto-Fish Rare Fish, Boss Fish, allowing you to benefit from Combos, and at max level you can turn on the Auto-Fish button which automatically pulls up Legendary Fish/Junk/Fish who’s levels are too high to Auto-Fish. To grind, make sure you have Auto-Fish and ideally those other skills, then travel to a Fishing Area and cast your line. Leave the line somewhere where you’re confident you can beat 100% of the fish that appear (roughly at or below your level is generally safe). Once you’re auto-fishing, you can just leave the game on (do not turn off the screen), put on Neglect Mode (the moon icon) and lower your phone’s brightness to the minimum to reduce battery usage, and leave your phone on charger overnight as the game fishes automatically. You’ll wake up to a higher level, lots of fishcake and maybe more if you use some of the below more specialized grinding methods. Don’t forget to grab your Hot Time rewards, your daily login rewards, your Achievement pearls, spend Event Currency, and level up your weapons whenever you check in after grinding. Pearls grinding is a more active affair, and can be done most easily once Auto-Voyage lvl 1 is bought in the Mastery section. The best way is usually to set Auto Voyage to only Pearls and location to “Rarest” (areas with higher level drops first). You’ll want Auto-Fish level 4 as well as you can Auto-Fish Rare Fish. Be sure to turn off the Detector unless you also want to catch Junk while you’re at it. This is a pretty good way to gather Junk as well, but Junk also fills your inventory faster. Basically the game will auto travel between active Rare Fish spots to collect their items, and eventually once your inventory is full, it’ll take you to a Harbor where you’ll have to manually sell things. This is why it’s more manual than most grinding. If you leave the game overnight, you’ll just end up at a harbor within about an hour and waste the rest of your time. Early on you’ll probably want to do some Pearls Grinding because you can’t do Amber Stones yet and Pearls are quite valuable early on while there’s lots of cheap Skins to buy. It’s also fair to do Pearls Grinding while you’re active and Amber Stones grinding while you’re busy/asleep/etc. You can buy Auto-Sell tickets with Potions to make Pearls Grinding truly automated (until it runs out of tickets! ), but I’m not sure it’s worth it, especially if you have any Mastery left to buy with Potions, which is how I spend them. There’s also a max of 20 Auto Sell tickets so eventually the game will run out and stop either way. Auto Sell tickets do not trigger the ads when selling. A softer sort of Pearls grinding can just be grinding overnight at a place that has Rare Fish with Auto-Voyage off; this way your inventory will fill but you won’t go to a Harbor and thus never stop fishing. This precludes you from farming Amber Stones however. This isn’t really automated like any of the other grinding methods, but with Auto-Voyage level 3 you can automatically move between the Mastery locations as their cooldown finishes. You’ll have to play the minigames manually. I don’t personally think it’s very worth it since the Alchemy and Black Market are the only places that give good Mastery. Generally spending Potions directly is the best way to get Mastery (and IMO, the best way to spend Potions). Amber Stone grinding requires Auto Voyage Level 4, Auto-Fish level 6 and of course that Legendary Fish/Amber Stones be unlocked (Rank 24). To grind you’ll want to set Auto Voyage to Amber Stones only and leave it on, and otherwise grind normally overnight. You’ll also need to turn the Auto-Fish button On, as otherwise you won’t pull up the Legendary Fish and get stuck at the Thunderstorm. This is generally the best way to grind overnight, as it doesn’t really decrease your amount of Experience much and it works totally automatically unlike Pearl Grinding. You’ll wake up to a large amount of EXP, Fishcake, and Amber Stones. Event grinding is no different from Generic/Amber grinding; just catch lots of fish overnight/while you’re not playing. You should easily fill up your full 2200 slots for Event Currency overnight, earning you a bare minimum of one Event item per day if you only farm overnight; just enough to be able to finish any Event. You can get at least two if you grind day and night and check at least once in the morning and once midday/before bed. IMO it’s always worth grinding a bit extra to get the Event things, they’re very hard to come by otherwise, they’re fun to have, and they have gameplay bonuses like all other Skins. Mastery is used to unlock and upgrade passive skills, making it very important. Generally you’ll want to spread your points widely and shallowly, unlocking everything but waiting to pay for the most expensive upgrades until later. Here’s a table with the Mastery prices per level. It costs an impressive 131,040 Mastery to upgrade everything. Level 2: Shows notification for fish that can’t be auto-fished (Vibration + green N on the fish meter). Level 1: Adds Auto Voyage option, only for “pearls” at first. What this means is you’ll auto voyage to any Fishing Area that has a Rare Fish. The Rare Fish will each drop an item, so after enough locations your inventory will be full and you’ll automatically sail to a harbor. You can (but shouldn’t) auto-sell by buying auto-sell tickets with Potions. Otherwise, you’ll have to manually sell once Auto Voyage takes you to a Harbor. Level 2: Adds Proximity First option to Auto Voyage, going to the nearest spot available each time significantly reducing travel time in most cases. Level 3: Auto Voyage for Mastery points option. Travels to Alchemy/Roulette/etc when Mastery can be gained, requiring manual intervention to actually play the minigames. The options are all separate toggles so you can choose which to go for. I recommend leaving Mastery off. Level 4: Auto Voyage for Amber Stones/Legendary Fish option. The only Auto Voyage that keeps gaining even without manual intervention! Level 5: Auto Voyage for Bosses option. Only useful after rank 40 apparently? Level 1: Adds a control that caps the level at which the Fishing meter will stop. Longpress on the meter while not fishing to readjust it. Level 2: Starts Auto Fish at departure and enables you to buy Auto Sell tickets. Only useful along with Auto Voyage. Auto Sell does not trigger ads, so don’t worry about selling interrupting your overnight farming. Unless you’re extremely impatient, Teleportation is a really bad way to get around. Use the Altars and Home Teleport instead and save mana for Skills. Adds a button in Skills that will temporarily buff a skill’s effect by a base of 1.5% in exchange for reducing its duration by half. Generally it won’t be worth it unless you really need the extra effect more (for say Junk farming with Navigation Boost) than you need Duration. “Skins” are how A Girl Adrift refers to cosmetic items like outfits, boats, and weapon designs. Each type of Skin grants a permanent bonus (even while not using it) determined by what type of Skin it is. You can see your total bonus for a specific Skin type in it’s tab in the Skin menu. Skin list coming soon, but you can check this ingame anyway in the Skin tab. Daily Reward refreshes every day at Midnight UTC. Several Locations in the game can be upgraded, mostly by using Junk. Home is where the Fishcake is. Home is basically a farm that auto generates a moderate amount of Fishcake automatically. You can create cosmetic Furniture items here too with Junk to improve Fishcake production and decorate. Note that just like Skins, all Furniture you’ve created here adds a passive bonus even when it’s not equipped. For a list of upgrades on the Home/Farm, /u/JubileeJones on Reddit has put together an impressive table of all Farm Upgrade information! Unlocking Home also enables you to instantly teleport back to Home no matter where you are for free, but you can only do this once every 30 minutes. Magic Essence can be used to upgrade Thunderstorms, though you can only visit (and thus upgrade) them when there’s a Legendary Fish to catch. Keep this in mind and upgrade the Thunderstorm before fighting the Legendary Fish if you have enough Magic Essence. Alchemy is one of the best ways to get free Mastery, but you can get Pearls as well. The Free Use gives you three Potions’ worth of Pearls or Mastery, for a minimum of 90 Pearls/33 Mastery and up to 180 Pearls/66 Mastery each go. Alchemy is also where most of your initial Potions should go, they convert into Mastery at a good rate here. Roulette is a pretty bad way to get Mastery, but it’s there. Whack A Mole is an only slightly less bad way to get Mastery. Black Marketeer offers Mastery points equal to the item’s Pearl + Mastery points value multiplied by the percentage shown. The Junkyard lets you build artifacts out of Junk. Note you have to have a full set of the required Junk to build them, unlike most upgrades where you can spend one Junk at a time. It’s probably best to spend the 300 pearls to get 10 random artifact points instead. Altars are big spooky obelisks that you can offer Amber Stones at to unlock and upgrade various passive gameplay bonuses. Earn Amber Stones by fighting the Legendary Fish, which unlocks just before the first Altar does. See the Altars subsection of Upgrades for the details on which altar does what and how significant they are. You can teleport to any Altar instantly for free from another Altar or Home. Simply areas to fish, each fishing area may have a unique Rare Fish (indicated by the yellow triangle Fish sign on the map), which respawns after a certain amount of time. Fishing areas also may have Bosses specific to them, so to progress in A Girl Adrift you will often need to catch a new Boss fish when a Skull icon appears on a Fishing area. For a list of which Rare/Boss fish may appear in an area, see the Rare/Boss Fish List. Normal fish appear anywhere regardless of location. Harbors are where you can sell your items and buy new Skins, cosmetic items that add gameplay benefits too. They’re also often important for Quests. Norway is technically a Harbor, but it uniquely has the Blacksmith’s Anvil, which you can upgrade your Skins at for extra passive bonus effects. Rank is the primary aspect of game progress, and each new Rank unlocks new gameplay features, areas, fish etc. Ranks are raised every Boss Fish you catch. New boss fish are discovered by following Story Quests. If you take on all your quests you’ll always find your way to the Bosses, though you might not be able to beat a boss the first try. Speed of Rank increases varies a bit; from Rank 1 through 25 or so you’ll be getting multiple ranks a day. Through the late 20s through early 25s it starts to slow to a rank a day at most to several days for a Rank, even with a large amount of skilled play. At Rank 35 (due to the Will Altar’s effect) you can start progressing a bit faster, just a few days per Rank again, then it begins to slow down once again. To see the max Altar/weapon/etc levels available at each rank, see this spreadsheet. However, note it is never to your benefit to dawdle at a lower rank when you can beat a boss; you should always advance ranks as soon as possible and thus you should almost never have max rank anything (except altars, which are much easier to max out especially early on). Altars unlock at Rank 22 and are upgraded with Amber Stones earned from fishing Legendary Fish. Note that if you are at an Altar or Home, you can freely teleport between Altars in the Amber Stones menu to quickly upgrade the altar of your choice. Unlocks rank 22. Can max it out at rank 45. Unlocks Rank 24. Can max it out at rank 45. Unlocks Rank 25. Can max it out at rank 46. Unlocks Rank 29. Can max it out at rank 46. Unlocks Rank 35. Can max it out at rank 46. Events in A Girl Adrift are pretty by-the-numbers; you’ll earn a special Event Currency every time you fish (amount seemingly random per-fish), and the currency can be spent on one cosmetic item for each kind of skin for both outfits and boat parts. Events appear to last 2 weeks each, so they’re short, but long enough to get all the items if you’re moderately attentive. Leaving the game idle for a few hours with Auto Fishing should fill your Event Currency inventory easily. Note you can (but shouldn’t) buy Event items with Diamonds. Dates: November 15th – November 27th. Dates: October 26th – November 9th. Halloween event is live! Collect wax Candy Corn by fishing normally and spend it on themed Halloween skins (with the usual gameplay benefits too)! Events in this game are short, so try to keep up on it and get the items ASAP. Event skins always cost 2000 Currency each. You can buy Potions for 500 each once you’ve run out of skins. I put this here since I wasn’t sure where else to, but the VIP events aren’t really events per se; you just get extra “daily bonus” coupons (the kind you can buy in the store in the Attendance tab). According to the game if you spend more than $10 on A Girl Adrift IAP at the store and email the payment receipt to [email protected], you’ll get VIP coupons sent twice a month. If you have extra info on this let me know, I haven’t spent $10 total yet. Normal Fish are added to the whole sea upon a certain Rank. I don’t know most of the early Ranks yet as I wasn’t keeping track. Time of day seems to affect which fish you get as well. Each location has a couple of unique fish: a Boss Fish, and a Rare Fish which will only show up after the Boss Fish has been beaten at least once. Rare and Boss fish will always drop an item for you to sell. Boss Fish are first encountered at a specific Quest and location, and from thereafter can be found as rare encounters (when the Yellow Sign appears) in that same area. Rare Fish are found the same way, as yellow sign occurrences after the Boss Fish was defeated. Rare Fish will be more common than Boss Fish at Yellow Signs. If you fail to catch a Rare or Boss Fish it won’t despawn until you successfully catch it. “The Rare Fish Rate Increase” buff that Outfit Skins give you both decrease the respawn time for Rare Fish locations and also give a higher chance of encountering the Boss Fish instead of the Rare Fish, meaning better items. Rare/Boss fish drops appear to be random but the higher rank the area they were found in the more likely they are to be expensive. Spoilers begin shortly after Panama. Warning things be getting spoilery beyond ye point! Legendary Fish are only fought at the Thunderstorm. Legendaries are unlocked by special stones dropped randomly after fishing normal fish, and you’ll get a notification when it’s ready. Additionally, Auto Voyage can be set to immediately head to the appropriate Thunderstorm. Legendary Fish are vital as they drop Amber Stones needed to level up Altars for their various benefits. Fighting the legendary fish is mostly like any other fish. They will always start at the lowest level you can possibly fish up and they have countless health bars. Their health bars go backwards and you earn Amber as you fill the bars, each bar having more and more health to go through. The fight always ends once the timer reaches the right side of the health bar, and the Legendary Fish’s attacks will decrease the time remaining; tap the Notes/rocks to stop the attacks. Attacks have no effect on you other than reducing the timer. You can also quickly upgrade a Legendary Fish straight from the Legendary Fish icon that appears on right of the screen (the one that takes you to the fish) to upgrade a Level 8 Thunderstorm even before you get there. Most of the time you’ll fight Margarglés’um, a giant Mermaid with a harp. She shoots music notes at slow intervals that you have to tap, otherwise they’ll reduce the time you can fight her if they hit your boat. They’re best tapped immediately after spawning as they’ll stay in place for a few moments. A second Legendary Fish worth more Amber Stones can be fought at Rank 25 and above by “overcharging” a Thunderstorm by leveling it past 8 (it will revert to 8 after the fight). The first level costs 250 Amber Stones, and you can only pay to overcharge the Thunderstorm just before fishing it, not after. Some kind of rocker girl with a sweet Treasure Whale and sound stage, Und’avalena rains down large amounts of yellow gems at you that need to be tapped or you’ll lose time. She plays something like a mobile Guitar Hero stage and is harder to perfectly block, but gives more Amber Stones overall. I tend to tap three fingers somewhat like a piano so I can more easily reach the rocks all over the screen. Coupons are Android Only. Enter these in Menu > Enter coupon to get free rewards. The A Girl Adrift developers seem to have a new one every week or so. The Subreddit keeps better track of new coupon codes than I do, see the latest codes here. Which Purchases are most worth it? The “Exp rate” Home/Farm upgrades do literally nothing. The Fishcake rate increase is used instead for both Fishcake and Experience boosts. So ignore Exp Rate upgrades and focus on Fishcake instead. The game will rarely crash after fighting a Legendary Fish. The first fight after opening A Girl Adrift after closing the app you’ll deal less than half the damage you should for a brief period. It seems to come back after a fight or so. Thanks to the /r/AGirlAdrift subreddit in general for collecting a lot of information! Thanks a lot to /u/Tymex123s and /u/Router26 for helping me complete the fish list! Previous Previous post: What’s New on SirTapTap.com?